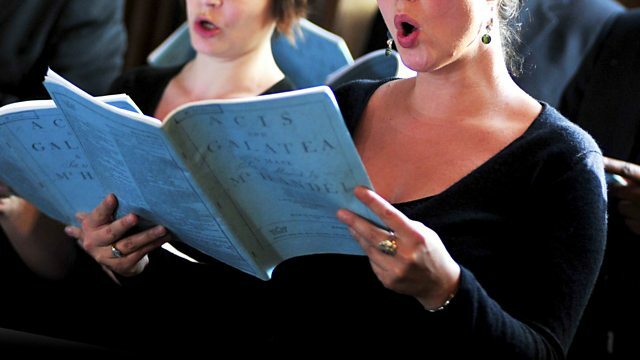 Sara Mohr-Pietsch introduces this week's selection of irresistible music for voices, including Franck's Panis Angelicus, a setting for women's voices by Saint-Saens, Byzantine Chant and Robert Carver's motet O Bone Jesu. Performer: The Carice Singers. Performer: George Parris. Performer: Robert Levin. Choir: Monteverdi Choir. Conductor: Sir John Eliot Gardiner. Choir: RIAS Chamber Choir. Ensemble: Berlin Academy of Ancient Music. Director: Hans-Christoph Rademann. Composer: Ralph Allwood. Choir: Rodolfus Choir. Among the leaves so green, O! Choir: Blossom Street. Conductor: Hilary Campbell. ECM : 2125 476 3855. Performer: Mario Patuzzi. Choir: Radio Svizzera Choir. Conductor: Diego Fasolis. Choir: Accentus Chamber Choir. Orchestra: Ensemble Orchestral de Paris. Conductor: Laurence Equilbey.